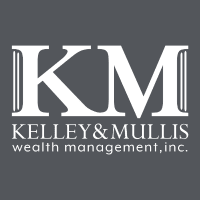 A well-established Birmingham, Alabama, financial executive, Michael Mullis directs Kelley & Mullis Wealth Management and provides proven strategies for the preservation and growth of assets. A recent feature on Michael Mullis’ company blog brought focus to a Forbes article on the hidden costs of not having health insurance. While all hospitals are required to provide treatment for patients who are severely ill, they are also able to bill for those services. With financial insolvency a major concern, people who do not have insurance are more likely to either stay away from emergency rooms altogether or travel significant distances to receive care at institutions known for being more forgiving where medical debt is concerned. This avoidance of costs associated with essential care leads the uninsured to take potentially life-threatening risks. Benefits of coverage involve something as basic as getting a case of “heartburn” looked at, rather than pushing aside a potential predictor of heart attack because of the associated costs. An Annals of Internal Medicine study concluded that the insurance coverage provided through Obamacare helped ease the situation by enabling patients to have conditions checked at local hospitals in a timely manner.